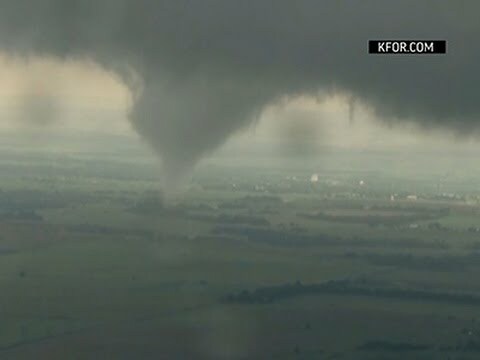 Published: May 7, 2015 7:15 am Updated: May 7, 2015 10:43 a.m.
OKLAHOMA CITY — Victims from a 51-twister outbreak across Tornado Alley sifted through rubble Thursday while forecasters issued ominous forecasts for the coming days. Tornadoes hit Nebraska, Kansas, Oklahoma and north Texas on Wednesday. Most were small and chewed up only farmland, but a pair crossed into Oklahoma City and damaged homes and businesses. A few injuries were reported — including about a dozen at an Oklahoma City trailer park — and one woman drowned in an underground storm shelter that flooded. "There is a hotel on Interstate 35 that sustained major damage_it just looks destroyed," said Oklahoma Police Sergeant Gary Knight. "We've been going room to room."